Food and games is always a good mix! 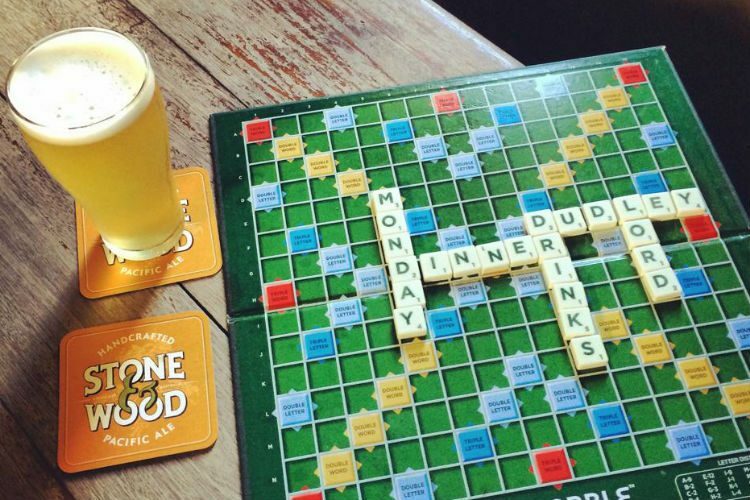 After all, who doesn’t enjoy some fun and games while they enjoy a pint or two? Luckily for you, Sydney’s bars and pubs know what Aussies really want! Here are Sydney’s best spots for a splash of frivolous fun to go with your beer. As classic an English pub as they come, The Lord Dudley is a cosy castle of fine beer, hearty grub and crackling fireplaces. It certainly delivers in the board game department as well, offering such classics as Connect 4, Cluedo, Scrabble, Monopoly, and chess. Grab your friends, bring a dictionary, and prepare of a night of laughter and fun! Easily in our top five favourite pavilions, the Coogee one is a spacious, modern eatery with lovely ocean views and a rich, Mediterranean-inspired menu. It’s also got a wicked games area, with ping-pong, pétanque, a built-in theatrette, Connect 4 and even giant magnetic scrabble. It’s basically a giant playground for big and little kids alike. Once known as Plan B Small Club, Hudson Ballroom is a bouncy hub of music, Asian street food (Belly Bao anyone? ), and fun, fun times. More importantly, however, it does weekly trivia nights. Topics include Stargate, cult sitcom Black Books, and Canadian hip-hop heartthrob Drake. Head down and test your pop quiz might! Loser has to buy the drinks! We believe in sticking up for the little guy, especially when it takes the form of a killer pub. Expect rustic décor, a bounty of sweet craft beers, and free, addictively delicious spiced popcorn at the bar. As for entertainment, you can catch trivia night on Mondays, or settle into one of the back rooms for a few rounds of Balderdash, battleships, or backgammon. All creative cocktails, funky stylings and randomly assorted knickknacks, Blacksheep is a very cool place to find yourself any night of the week. It’s got a mounted deer head, a weird hanging laddery contraption and a gloriously gigantic Kramer portrait, so the exact theme is anyone’s guess, but whatever it is, we like it! Order up a Slippery Crumpet, some gourmet fish fingers, and prepare to kick some arse at Nintendo. Jenga, or Connect 4! That lot should keep you amused! Why not tell us what you thought on True Local?